Is Minister Canavan lying about nuclear wastes, or is he just uninformed? Susan Craig, Fight To Stop Nuclear Waste Dump In Flinders Ranges SA, 1 Aug 18, Mr. Canavan stated on ABC radio this morning that the radioactive waste dump proposed for South Australia was safe for both low level waste above ground storage and intermediate level waste above ground temporary storage. However, the extract below from ARPANSA and ANSTO safety report clearly suggests otherwise and are at odds with the Federal Government’s proposal and needs urgent investigation by our State Government. The Federal Government is being dishonest in their pitch for this dump. The ANSTO & ARPANSA report states that the low level waste be stored below the surface, however, the Federal Governments proposal is for above ground. The report also states that the intermediate level waste stored at a national facility will be for the long term above ground – 100 years. Mr. Canavan stated it would only be temporary. 100 years is not temporary. Intermediate waste has a half-life of tens of thousands of years and should be safely stored between 300 – 500 mtrs below surface. However, the intermediate level waste for South Australia will be stored in ZWILAG TN81 container, above ground which only lasts 40 years. “The Government is currently assessing the siting and construction of the NRWMF, a co-located near surface disposal repository for Low Level Waste (LLW) and an above-ground store for Intermediate Level Waste (ILW). The NRWMF will cater for the long term above-ground storage (approximately 100 years) of Intermediate Level Waste including the waste reprocessed in France and the United Kingdom. Joy Engelman Unfortunately, nuclear waste is not safe which is exactly why the government is not keeping it at Lucas Heights but wanting to put it as far from major urban areas as possible. It will never be safe. There are so many nuclear waste facilities around the world now with huge problems, leaking canisters, isotopes becoming active in the biosphere etc etc. It is also not possible to store canisters containijng the waste above ground in the temperatures experienced in the outback nor with the possibility of flooding. Not only that, the waste does contain high level waste from Australia’s propensity to try to develop weapons grade waste over the late 20th Century. Joy Engelman Unfortunately Susan, nuclear waste is not safe which is exactly why the government is not keeping it at Lucas Heights but wanting to put it as far from major urban areas as possible. It will never be safe. There are so many nuclear waste facilities around the world now with huge problems, leaking canisters, isotopes becoming active in the biosphere etc etc. It is also not possible to store canisters containg the waste above ground in the temperatures experienced in the outback nor with the possibility of flooding. Not only that, the waste does contain high level waste from Australia’s propensity to try to develop weapons grade waste over the late 20th Century. Canavan needs to be properly educated about the nuclear industry before he opens his mouth and not just be another puppet. A blatant attempt to undermine the community ballot in the event that the Minister doesn’t get the ballot result he wants. The webpage says absolutely nothing about what issues submissions should address! Submissions will be one of the factors the Minister for Resources and Northern Australia may take into account when determining broad community support for the Facility. The department will be accepting submissions between 1 August and 24 September 2018. Funny. 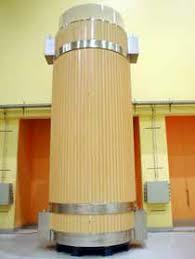 Spent fuel rods (which the USA and other countries would call High Level Waste (HLW)) leaves this country. Vitrified waste remnants will return one day (which the French, USA, UK, Japan would call HLW) – but at no time in Australia will this be honestly called High Level Waste. Bega District News, Murray Trembath 30 July 18, “……..
ANSTO said the spent fuel was being shipped overseas in state-of-the-art cask for reprocessing. Woomera’s 10,000 nuclear waste barrels have ‘low levels’ of radiation, says CSIRO, ABC News 30 July18 Ten thousand barrels of radioactive waste stored at Woomera in South Australia’s far north have no significant levels of radiation, according to the latest assessment from Australia’s leading scientific research agency. The finding from the Commonwealth Scientific and Industrial Research Organisation (CSIRO) comes more than two years after a report raised concerns about the possible leaking of nuclear waste at the site. In April, 2016, the Australian Radiation Protection and Nuclear Safety Agency (ARPANSA) inspected the Woomera site and reported a number of concerns surrounding many of the barrels, which hold material from tests at Melbourne’s Fisherman’s Bend dating back to the 1950s. The Federal Government is looking to store low-level nuclear waste temporarily store intermediate level waste at one of two locations near Kimba, or one at Barndioota, near Hawker, in the Flinders Ranges………. Woomera was a rocket testing base in the 1950s and is still a defence systems testing facility……. Once analysed, any low or intermediate-level nuclear waste at Woomera would likely be moved to the proposed national nuclear waste management storage facility. Movement of waste ‘a risk’ Mara Bonacci, of the Conservation Council of South Australia, said the issues with the barrels highlighted the dangers of nuclear waste storage. “It’s a shame that after only 30 years, the 10,000 barrels have been stored there are already compromised and potentially dangerous,” Ms Bonacci said.”It doesn’t instil a great deal of confidence in Australia’s handling of radioactive waste at all, which leads to concerns about the current federal proposal for the radioactive waste management facility. “I’m glad they’re onto it but it’s a shame that it has to happen at all and it’s going to cost the taxpayer $30 million. Ms Bonacci said the movement of the waste to a proposed waste management storage facility at either Kimba or Hawker in South Australia was a risk. “They want to move intermediate level waste — which is higher level waste to what is at Woomera — they want to move that from Lucas Heights … to a remote area for interim storage and then move it again. Communities are concerned that waste will be forgotten about, that it may be compromised. “It’s expensive, it’s double-handling and it doesn’t make sense. …….. The spokesperson for the Department of Industry, Innovation and Science said the transport, storage and disposal of nuclear would be under strict regulations enforced by the Australian Radiation Protection and Nuclear Safety Agency (ARPANSA). The Australian Radiation Protection and Nuclear Safety Agency (ARPANSA) declined ABC requests to comment. Dr Mallants said a study into the structural integrity of the barrels was ongoing in conjunction with experts including the Australian Nuclear Science and Technology Organisation (ANSTO). reduce electricity after cooling water was affected by high temperatures. water, but Eurasto said the current heatwave has been more severe. Reactorsin Sweden and Germany also reduced production because of cooling problems,Reuters reported. A spokesperson for Sweden’s nuclear energy regulator saidthe Forsmark had cut energy production “by a few percentage points”. 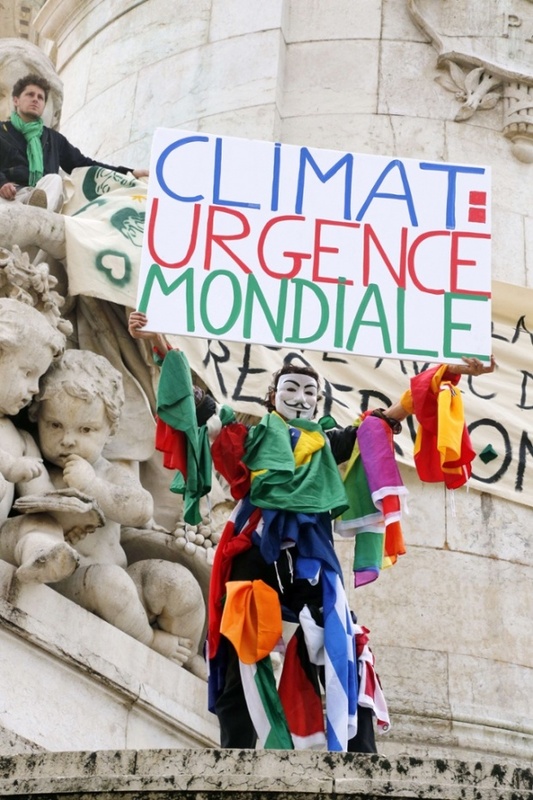 FT 31st July 2018, Environmentalists have won the battle of a generation: after years of campaigning, they have largely persuaded the world that man-made climate change is real and that fossil fuels are to blame. Remaining sceptics -chief among them US president Donald Trump – are outnumbered even in their own countries. will avoid the catastrophic effects of unabated global warming. Campaigners are divided on the tactics to achieve this. At one end are grassroots groups such as Friends of the Earth and Greenpeace, which are well known for protests that aim to obstruct polluters and mobilise public opinion. They have no plans to abandon such tactics, even as one-time foes including oil majors slowly begin to address their contribution to climate change. There is also a new breed of campaigners who prefer to exert pressure inside boardrooms. These groups, including activist shareholders, investors and analysts, say there is a pragmatic case against continued investment in coal, oil and gas. Among them is Carbon Tracker Initiative, an early pioneer in arguing the risks and rewards for investors. Founded nine years ago by sustainable investment analyst Mark Campanale with philanthropic funding, the think-tank spent several years telling investors that many of their fossil fuel assets would become “unburnable” in a low-carbon economy. Third, my latest research (see graph, on original) ) has shown that in Australia, as in Britain and the United States, investigative stories and their targets have changed this decade to accommodate newsroom cost-cutting.